Today’s Question: What can you do today to make yourself a more hospitable dwelling place for the Holy Spirit? Br. Geoffrey explains in today’s video that the Holy Spirit can be seen as a comforter, but also as the whisper that prods us into action, sending us into the world to become more authentic. It is the ‘Spirit of Truth’ who wants us to live a more truthful and authentic life. I’ve found that the more truthful I am with God, myself and others, the more I enjoy life. When there aren’t secrets to be held, and lies to be covered up, I can look at each situation and encounter with clear vision, even stepping away to see what Jesus sees. It is the Holy Spirit that breathes in and breathes out within me, taking in God’s goodness and then spreading it out, hopefully like a contagious disease!! I really don’t long to be comforted; I’d rather be prodded by the Spirit to be God’s ambassador in the world. 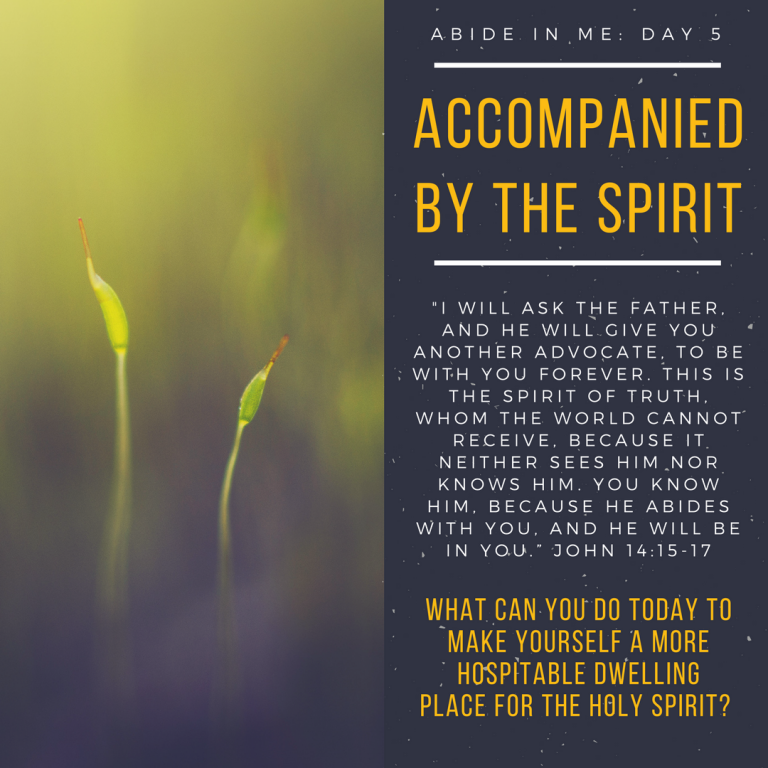 Please enter the discussion: What can you do today to make yourself a more hospitable dwelling place for the Holy Spirit?